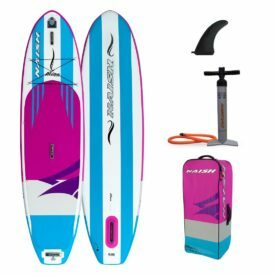 SUPBoarder is back with Reuben and he is showing us one of the new models in the 2016 Red Paddle Co Range, the Red Paddle Co 12’6″ Sport inflatable paddle board. 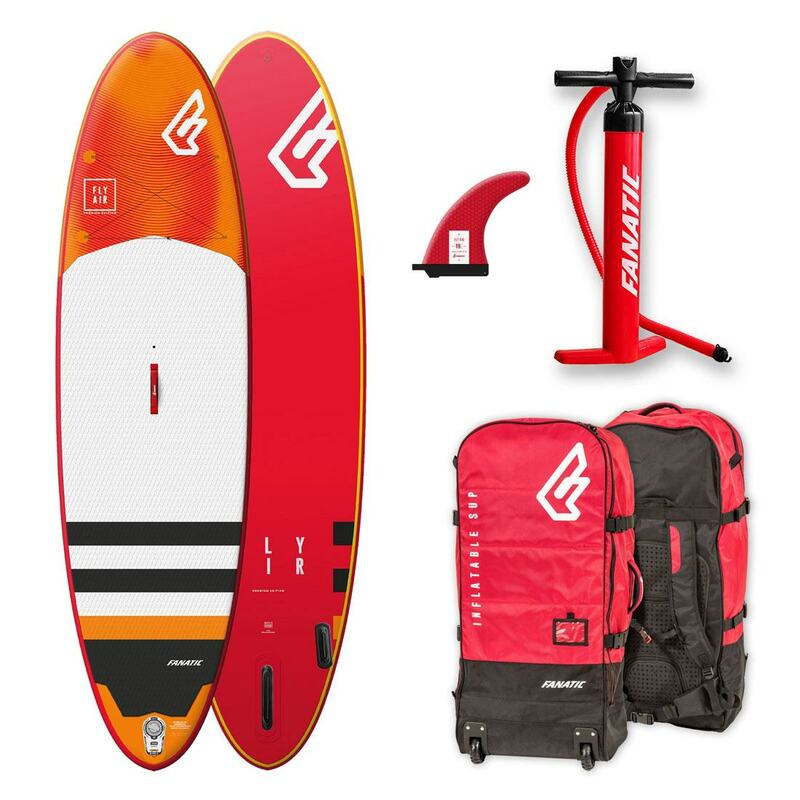 The Red Paddle Co Sport 11′ gets a stable mate for 2016, a longer, bigger volume board ready for paddlers of 180lbs+ who found the 11′ Sport a fraction small, but who didn’t want to upgrade to the narrower 12’6″ Race at only 28″ wide. 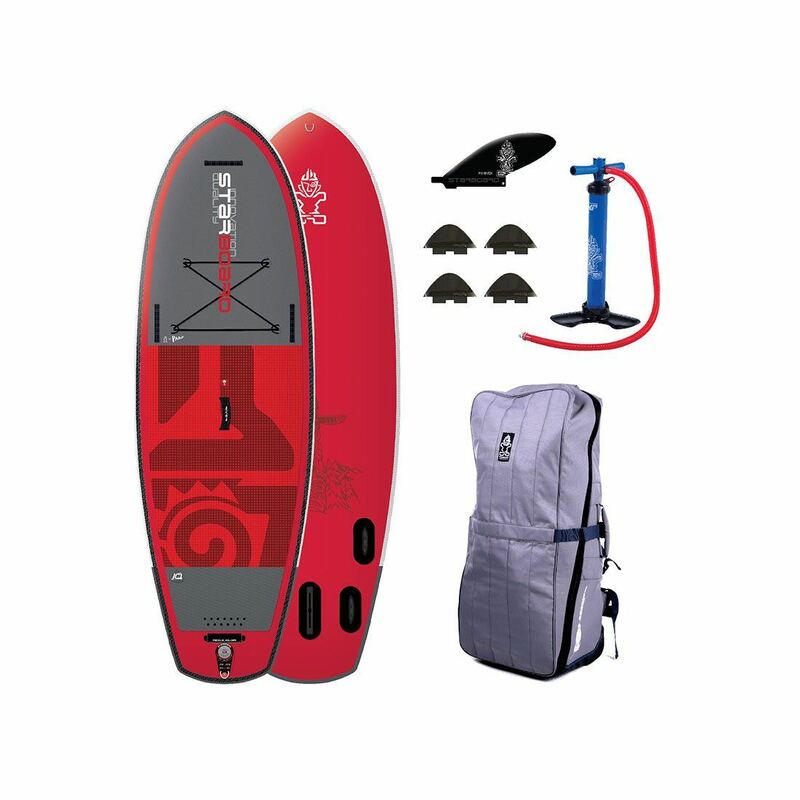 Welcome back to another SUPBoarder independent review and this week we are looking at the Red Paddle Co 12’6” Sport. 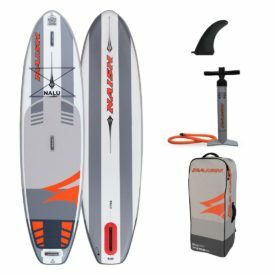 Red Paddle Co started making iSUPs back in 2008 and they’re definitely up there as one of the world’s best paddle board brands and they are constantly pushing the development of iSUPs in general. Specifications of the board. Obviously it’s 12’6” long, 30” wide, it’s 150mm thick or just under 6”, it comes in at 350 litres in volume, it only weighs in at 10kg (22lbs) and retails at £899 ($1599). 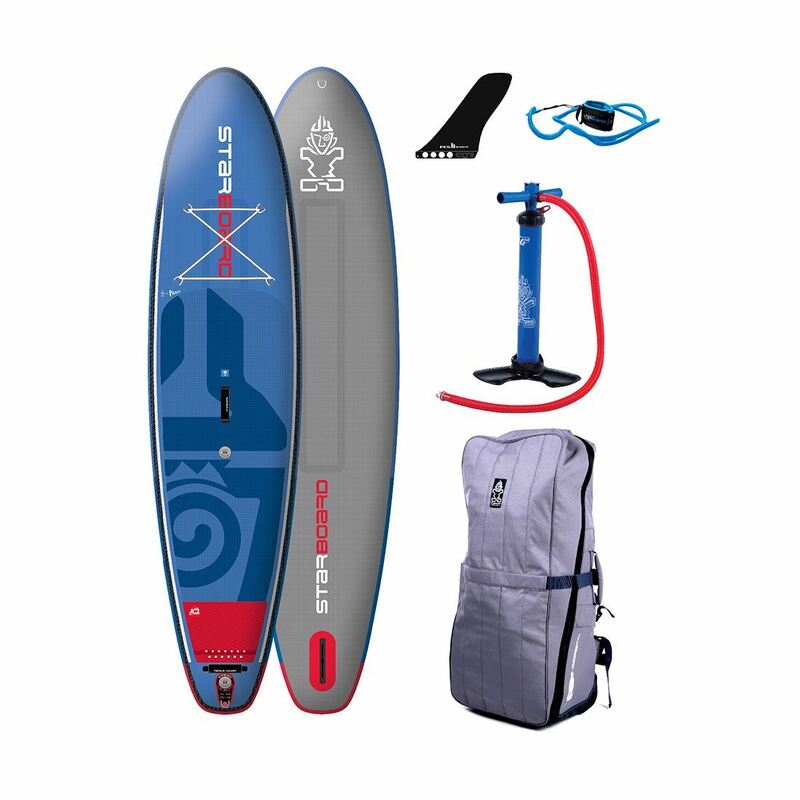 General overview of the board, it’s a relatively long narrow board with a pointy nose coming in to a square tail designed for an intermediate all round paddler. The materials of this board and all the 2016 Red Paddle Co boards, a top quality drop stitch and then they bring in their new MSL technology which stands for Monocoque Structural Laminate, which is basically where on the drop stitch they pour a liquid layer of PVC the same thickness as double layer, as it was last year, on top of the board which reduces weight and keeps the stiffness the same. And the boards’s also fitted with the RSS battens down the rail that you can see there. SUPBoarder impressions of the Sport 12’6”. This is a brand new board for 2016 for Red Paddle Co so we’ve got nothing to gauge it off from last year. The board itself is finished of perfectly. The same fittings you find on all the 2016 boards, nice comfy carry handle, bungee straps with the nice stainless eyelet rings at the front there. Really comfy EVA deck pad. With more carry points at the back there, comfy again. Leashing point at the back, all looks good and really in keeping with the board. Moving on to the fin and the fin box. The fin box itself is that new Red Paddle Co 2016 hydrodynamic fin box that’s really slimmed down. Fit’s in really well with the fin, and the fin itself is actually very flexy so it’s quite forgiving but it’s still got enough stiffness there to give you that glide and speed to help you track the board nice and straight. Turning the board back over and moving on to the rails of the board looking at the RSS system. This is the same batten length system that they had last year on their boards, but some of you eagle eye’d people have noticed that the battens themselves are slightly further forward. So they’ve moved the battens basically from the mid section to further forward on the board because it actually, they found it made the board stiffer because when you’re paddling, a lot of the time, the weight and the energy you’re forcing down into the board is slightly in front of your feet, if you’re paddling in that sort of faster paddling rate. So your pushing the force and the weight is down slightly in front of your feet, by moving the batten further forward it gives that board a bit more stiffness where you want it. Moving on from that we’re looking at the deflection test, we put all our iSUP boards through a deflection test. Which is a weight of 75kg (165lbs) in the middle of a gap distance of 1.5m (5ft) apart. This board only drops 15mm. So in comparison, last year’s 11’ Sport that is thinner but still has a batten, we tested dropped 18 mm. So this with the extra thickness and the battens as well, only drops 15mm. Moving away from the board fittings and features, let’s go onto the bag. The bags are pretty much, I would say, one of the best bags in the business, I don’t think you could beat the bag for quality wise. It’s got backpack attachments that you can put in and out. You don’t need to have it if you go on holiday you can have it like a hold all wheelie bag. Nice full zip so you can get the board nice and easily in. Waterproof key or phone pouch included with all boards. Back pack with the wheels, handles, really well made. Best back pack on the market that we’ve seen so far. 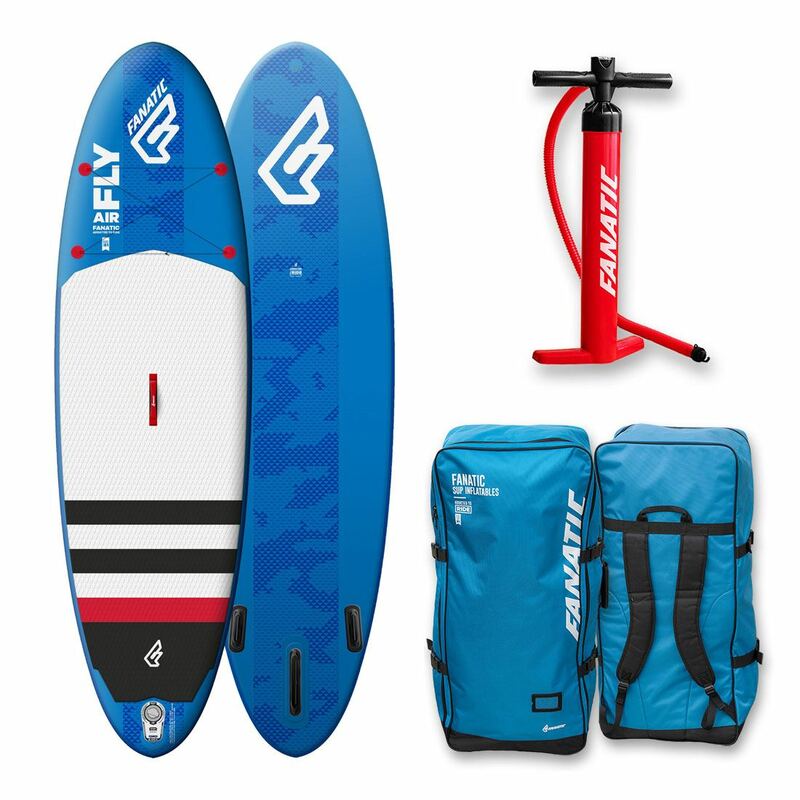 Then looking at the pump, the boards all come with, the Sport boards all come with, the Titan Pump, which is the same pump as they had last year, and it’s still a phenomenal pump. So basically it’s a double chamber pump, larger chamber which is what they had on their 2010, 2011 boards, and they have a high pressure chamber next to it so when you’re pumping it up and the red toggle is in basically it uses both chambers and then as soon as the pressure gets up there, you take the red stopper out and then you can only pump on one chamber, the smaller chamber. Really quick, the fastest way of pumping probably on the market and also pretty efficient on your body too. 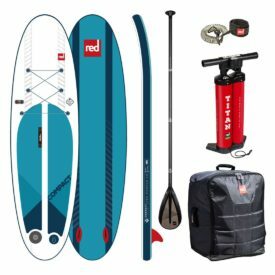 So the Red Paddle Co Titan, it comes as standard with both the Sports. 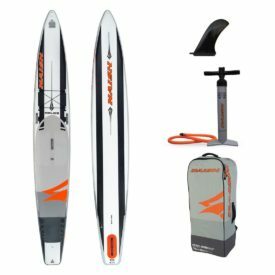 Let’s talk about the real stuff, let’s talk about what it’s like to paddle and the performance of the board. 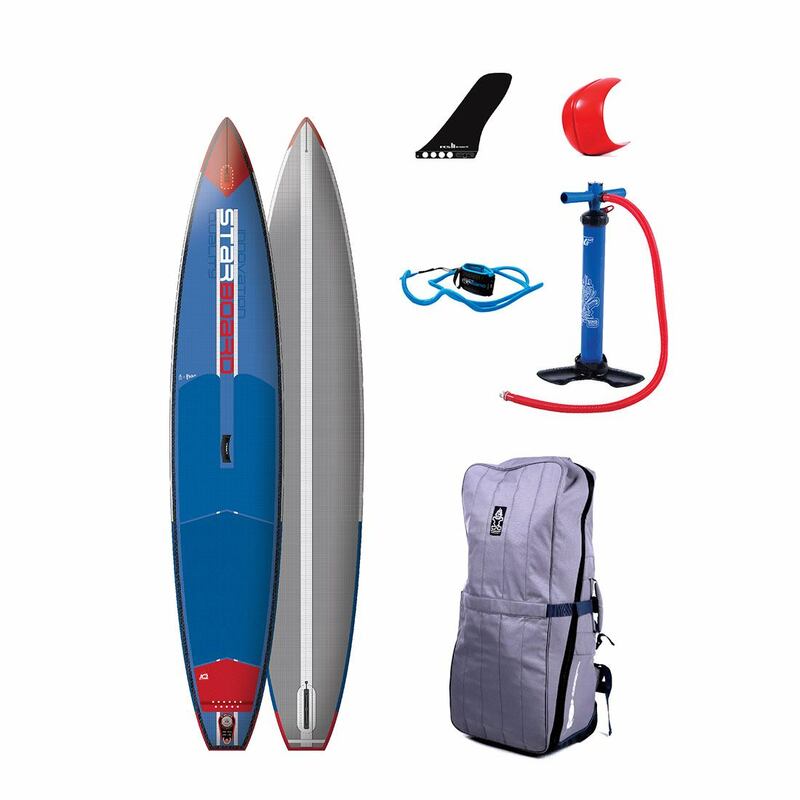 3 words sum up the 12’6” Sport from Red Paddle Co, smooth, stable and fast. 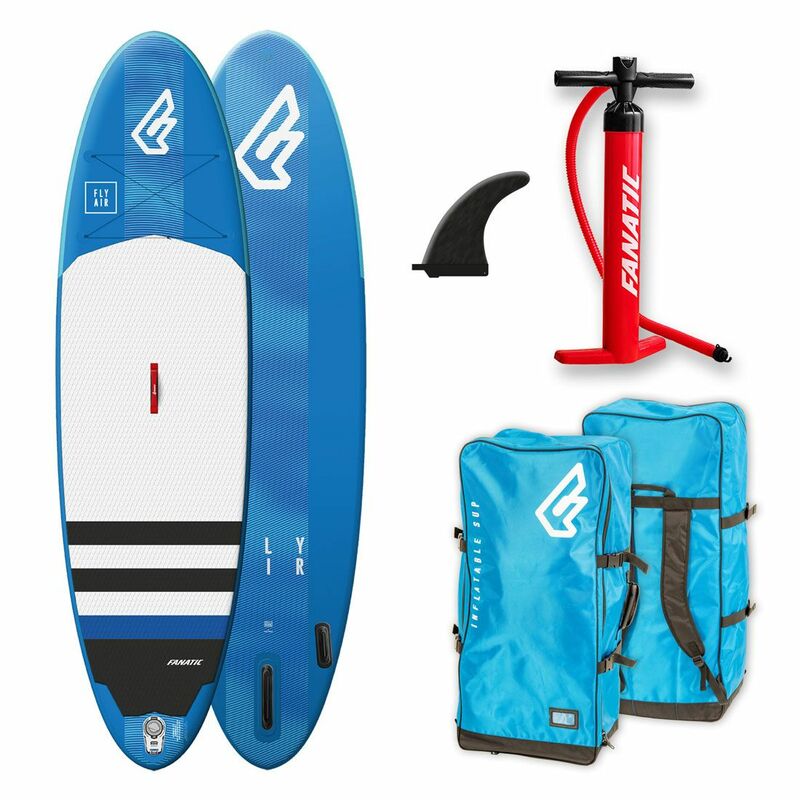 It’s smooth because the board glides really easily, lovely for going for a coastal cruise or up a river. 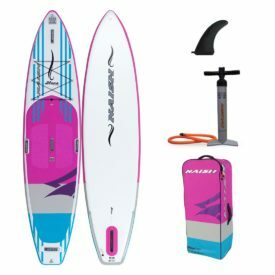 It’s stable because it’s still got this square tail, give you quite a lot of stability towards the back of the board and really adds to the general stability when paddling it on flat water and in choppy conditions. And it is fast because it’s not super wide, it’s only 30” wide, but it’s also not super narrow so it’s not too twitchy. A 30” wide with the 12’6” in length, it does give it a nice feel of a fast board that really has a slight race pedigree to it too. Who’s the board best going to be suited for? 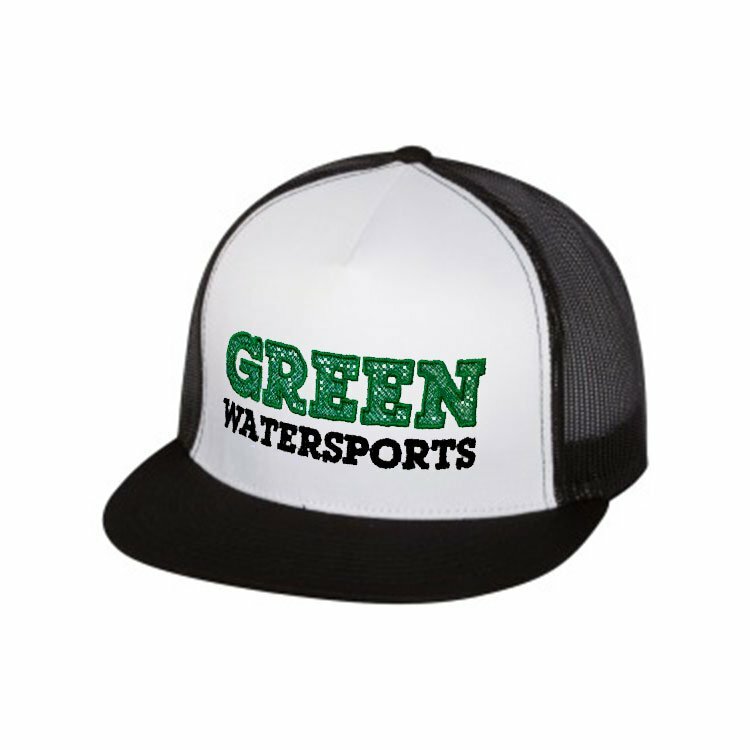 Well it’s going to be suited for a really wide range of paddlers wanting to do a lot of things. 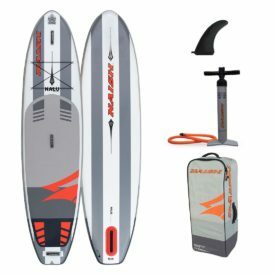 If you’re looking for a board that paddles easy and has lots of glide and looking to do, let’s say, 90% flat water and maybe 10% surf. I even say 10% surf because this is going to catch little waves. This is going to be able to catch little bumps because of the glide and the stability at the tail. And also if you’re looking for a race board but don’t want to have a board with race written on it, which pretty much seems you should go racing or psyching yourself up to races, this board does it. This board basically is a race board, toned down a little bit, made into the general, all round, fast paddlers board. Negatives or downsides? At the moment there’s no negatives or downsides to this board, it works really well for exactly the purpose this board is designed for. 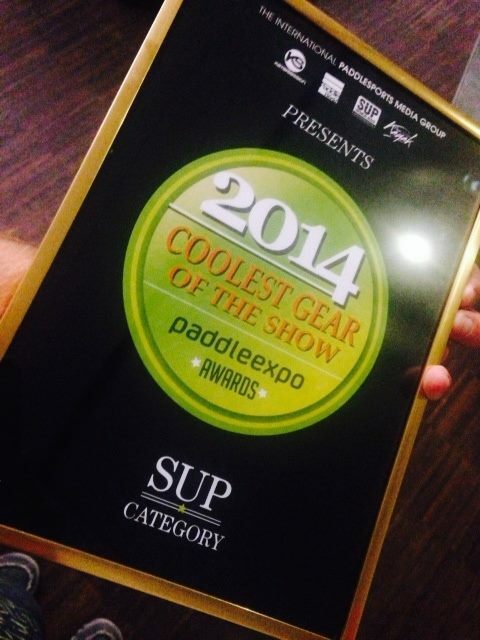 The overall SUPBoarder verdict. 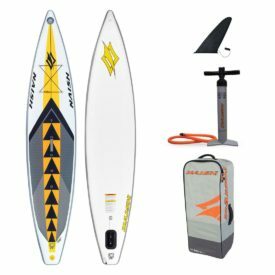 A really fun, stable, fast board that’s going to suit so many different riders for different conditions and different uses that they want to use it for and with boards like this, paddling on the water and spotting the difference between an iSUP and a hard board is becoming harder and harder. Posted on May 14, 2016 by Julian Kidd.